Dr. Giza leads the Pediatric TBI/Sports Concussion program at UCLA. Eminently qualified, he served as Vice-Chair for the California State Athletic Commission, traveled to Afghanistan in 2011 as a civilian advisor to the Department of Defense and Co-Chaired the American Academy of Neurology’s committee, which developed an evidence-based Practice Guideline for Management of Sports Concussions in 2013. Dr. Giza serves on the Center for Disease Control’s Pediatric mild TBI committee, the NCAA Concussion Task Force and the Major League Soccer Concussion Program Committee. He is currently a Professor of Pediatric Neurology and Neurosurgery at the David Geffen School of Medicine and UCLA Mattel Children’s Hospital. Dr. Adam Darby spent the first 21 years of his life in the North of England, where he received his undergraduate education in both academics and sports, emerging with a degree in environmental sciences from Durham University. His introduction to the United States was as a soccer and later rugby coach, while he taught high school sciences and attended night classes at UCLA to complete his pre-med requisites. Dr. Darby trained for his medical degree in the U.K., the Caribbean, and the U.S. Drawn toward degenerative neurologic diseases; he completed his neurology residency at the University of Vermont Medical Center. He noted early in his residency the lack of appropriate neurologist involvement in sports concussion management and, in his words, “my future career direction became clear.” He views this practice as a mission to protect two of his loves: the brain and sports. Clinical Instructor, UCLA Department of Neuroscience and Human Behavior, Neuropsychology Div. Doug Polster is sports neuropsychologist and Clinical Instructor in the Division of Neuropsychology within the Semel Institute for Neuroscience and Human Behavior. He is a graduate of Johns Hopkins University and received his doctoral degree in clinical psychology, with an emphasis in sports and health psychology, from Nova Southeastern University in 2015. He completed his predoctoral internship at Broward Health Medical Center and went on to pursue a specialization in sports neuropsychology on his postdoctoral fellowship at the UCLA Steve Tisch BrainSPORT Program. While on fellowship, Dr. Polster created and implemented a novel treatment program designed at assisting athletes with prolonged post-concussion symptoms with successful return to their sport. His approach combines traditional sports psychological treatment with exercise therapy in order to help his patients regain control over their recovery. He has also been active in the development of a research protocol designed to provide home-based treatment for individuals with prolonged post-concussion symptoms. Dr. Polster has been an athlete for his entire life and brings his passion for sports into every clinical visit. As a former basketball player at Johns Hopkins University, he understands the competitive nature of sports as well as the desire to return to play after injury. He remains active within the athletic community and serves as the director of a local fitness club whose mission is to inspire health and happiness through collective fitness. Dr. Madison Harris is a board certified occupational therapist and Los Angeles native. She earned her Bachelors of Science in Occupational Therapy in 2016, her Masters of Science in Occupational Therapy in 2017, and her Occupational Therapy Doctorate in 2018, all from the University of Southern California (USC). She has always had a passion for working with athletes, specifically those who are recovering from an injury or transitioning into retirement. During her undergraduate studies, Madison worked closely with the USC football team, serving as an intern athletic trainer for the team. She completed her doctoral residency with the UCLA Steve Tisch BrainSPORT program developing an occupational therapy program focused on addressing symptom management with pediatric patients who have sustained a concussion. Madison continues to combine her love for pediatrics, sports and occupational therapy, helping children return to the activities they want and need to do on a daily basis after injury. She is proud to be a member of the UCLA Steve Tisch BrainSPORT Team. Constance Deering is a project manager with 10 years of experience working within the context of higher education in various capacities including: academic outreach, admissions, financial aid and student affairs. While receiving her B.A. in Political Science at UCLA, Constance worked for academic outreach programs aimed at enhancing academic performance and expanding postsecondary educational opportunities for California's educationally underserved youth populations. Upon graduation, Ms. Deering completed a year of service with AmeriCorps Vista where she designed programs aimed at fighting poverty, through education, in the South Central Los Angeles area. Subsequently, Ms. Deering received her M.A. in Higher Education Administration from Boston College and went on to coordinate services and academic programming at Boston College, Harvard and MIT. Her commitment to educational outreach and engagement brought her to the UCLA Steve Tisch BrainSPORT Program where she works to increase awareness of traumatic brain injury and sports concussions by assisting with the development of partnerships and program expansion with local schools. Yena Kim graduated from UCLA with her bachelors in Political Science, followed by a Master of Social Welfare in 2014. She has worked with various populations from transitional aged youths to geriatrics within research prior to her joining the BrainSPORT team. Yena’s personal interest in neuroscience and research has brought her to the lab in which she hopes to expand her knowledge in brain injuries. During her free time, she enjoys reading, spending time with her cats, and practicing muay thai. Philip Rosenbaum graduated in 2015 from UCLA with a Bachelor’s of Science in Neuroscience and a minor in Philosophy. While studying at UCLA, Philip played Division 1 and club water polo, which led to his interests in sports related injury prevention and treatment. Philip’s passion for sports, health, neuroscience research and outreach brought him to become a part of the Tisch BrainSPORT Volunteer Club and through his involvement in the community, he subsequently became a member of the Steve Tisch BrainSPORT Program team, as program coordinator. While at UCLA, Philip also volunteered for the Peer Health Exchange, a non-profit organization that delivers educational health clinics to underserved high schools in the Greater Los Angeles community. When he is not working, he is likely enjoying the Los Angeles weather on the beach or in the mountains. Philip plans to pursue a medical degree in the future. Michael Amick graduated from UCLA in 2018 with a Bachelor’s of Science in Biochemistry. During his time at UCLA, he played four seasons on the UCLA Men’s Soccer team where he was first introduced to the BrainSPORT group as a research subject. After playing a year of professional soccer in Portland, he returned to UCLA to pursue research endeavors in concussions, bridging the gap between his athletic experiences and injuries, and his interest in scientific research. From participating as a research subject to volunteering with the Steve Tisch BrainSPORT Program, he has now transitioned into a full time capacity to help coordinate research in collaboration with the CARE Consortium. He looks forward to joining an incredible team to further innovative scientific research that examines a critical topic for athletes today. Christopher Sheridan earned his BS in Biochemistry & Philosophy with honors from Boston College in 2013. As a Gabelli Presidential Scholar at BC, Chris developed his passion for neuroscience both in the classroom and in the lab, winning a Barry Goldwater Scholarship to pursue research in neuroimaging. Chris finished his undergraduate career completing a Scholar of the College Thesis defending a critique of the DSM-5 and working to develop novel PET tracers to examine diseases of the central nervous system at the A.A. Martinos Center in Charlestown, MA. Upon graduation, Chris moved back home to Baltimore, MD and began work at Johns Hopkins Hospital on PET-based studies assessing neuroinflammatory markers and tau deposition in current and retired NFL players. An avid track and field athlete in high school and college, Chris is also a Certified Strength and Conditioning Specialist (NSCA-CSCS) and coached varsity football and track & field for four years at the Gilman School in Baltimore, MD. Chris’ experience coaching led him to join BrainSPORT in an effort to advance scientific knowledge and clinical management of concussion and to help make sports as safe as possible for athletes of all ages. Ms. Kor has worked for the Department of Pediatric Neurology since 2008. She has administratively supported the BrainSPORT program since its inception and is responsible for coordinating patient visits. Janet triages concussion patient inquiries in order to determine what neurocognitive services are needed. In addition, Ms. Kor helps direct various services in order to make sure all patients are seen in a timely fashion and receive the best comprehensive and individualized care with our medical team. In 1989, Dr. Hovda was recruited by the Department of Neurosurgery to direct its scientific efforts to understand the cellular pathophysiology of brain injury. This work resulted in providing the backbone for UCLA being recognized as a "Center of Excellence" by the National Institutes of Health. Dr. Hovda has received a number of awards for his research on brain injury and recovery of function, including the 1991 National Head Injury Foundation Award, the Giannini Foundation Award, the Benjamin Franklin Haught Memorial Award and was named the Lind Lawrence Eminent Scholar for his work on the topic of Traumatic Brain Injury and the 2006 Women in Neurotrauma award for his teaching and support of women in neuroscience. 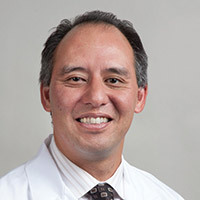 Dr. Hovda is the Director of the UCLA Brain Injury Research Center. He is past President of the National Neurotrauma and International Neurotrauma Societies. He has served as Chair of study sections for the National Institute for Neurological Disease and Stroke (NINDS). Dr. Prins’s research interests include understanding the changes in brain metabolism that occur after pediatric traumatic brain injury and how alternative fuels can be used as therapeutic options for the young brain after head injury. In addition to this main focus, she is interested in repeat mild head injuries as they apply to both children and young adult athletes. Dr. Neil Harris has worked within the fields of hydrocephalus, stroke and traumatic brain injury. The major theme of his current research at UCLA is understanding the potential for plasticity and function after trauma utilizing both light microscopy cell biology techniques as well as in vivo neuroimaging methodologies. Dr. Harris is a California native who received her B.S. in Biology from the University of Maryland Eastern Shore. She returned to California and completed her Ph.D. in Neuroscience at UCLA studying molecular mechanisms of brain repair in the adult brain. She remained at UCLA to complete a postdoctoral fellowship in Health Services Research. Her postdoctoral work exploring challenges to management of dementia in primary care was used by the US Department of Health and Human Services’ Healthy People 2020 to develop national guidelines for dementia care. After completing a successful postdoctoral fellowship, Dr. Harris entered medical school and completed her medical degree and intern year at Loma Linda University Medical Center. She returned to UCLA and completed residency training in Neurology in June 2018. Dr. Harris is the second UCLA Neurology resident to enter a dual fellowship in the Tisch BrainSPORT and Goldberg Migraine programs, and is excited to combine her clinical training, scientific curiosity, and passion for community service to address community-based disparities and challenges in concussion and headache. Dr. Rafael Romeu-Mejia was born and raised in Puerto Rico, where he completed his undergraduate and medical school degrees while being involved in community service and academics. He recently graduated from Physical Medicine and Rehabilitation (PM&R) residency at the VA Caribbean Healthcare System in San Juan, P.R. His experience with sports and personal injuries at a young age drove him to PM&R specialty, where he immediately grew interest in brain injury and multidisciplinary neuro-rehabilitation. By joining the Steve Tisch Sports Neurology-Neurotrauma Fellowship, Dr. Romeu-Mejia is able to combine his passion for community outreach, sports, and his background in rehabilitation medicine to help patients with complications following concussion. Dr. Tara Sharma grew up in La Canada, California where she spent most of her early years as a competitive figure skater competing in regional and national level competitions. She continued her love for sports in High School and College as a Cross Country and Track runner and still holds many records at her High School. After receiving her undergraduate degree in Biology at Claremont Mckenna College, Dr. Sharma worked in a molecular neurology lab at the Huntington Medical Research Institute in Pasadena, CA on a project targeting enzymes involved in pathways implicated in the transmission of migraine pain. She subsequently pursued further educational training in New York, where she completed her Master’s Degree in Biomedical Sciences at Mount Sinai School of Medicine. She remained in New York and completed her medical school training at New York College of Osteopathic Medicine. During her time there she was active in community outreach and provided healthcare to local communities in Ghana, Africa. After that she completed her residency training in Neurology at Cleveland Clinic Foundation where she focused on research in Headache, Dementia, and Small Fiber Neuropathy. Given her sports background, clinical training, research, and community service experience, Dr. Sharma knew she wanted to combine her passion for all of these aspects in her fellowship training. Dr. Aliyah Snyder is the UCLA Steve Tisch BrainSPORT Program Neuropsychology Postdoctoral Fellow. She specializes in brain injury and sports concussion at the Semel Institute for Neuroscience and Human Behavior. Dr. Snyder received her doctoral degree in the neuropsychology track of the clinical and health psychology program at the University of Florida. While at UF, she completed a predoctoral training fellowship in clinical and translational science (CTSI TL1) and founded Athlete Brain, a student-run organization dedicated to promoting concussion safety and awareness in the community. She completed her predoctoral internship at the Emory University School of Medicine in the adult and pediatric neuropsychology track. Dr. Snyder competed as a varsity coxswain on the men’s rowing team as an undergraduate at Florida Institute of Technology and then went on to coach rowing at the high-school and collegiate levels before competing internationally as a skeleton athlete. Dr. Snyder’s research interests and experience include translational models of post-injury neuroplasticity, biobehavioral interventions to enhance recovery from concussion, and prevention of persistent post-concussion syndrome. Dr. Julia Kerrigan grew up in Minnesota before traveling to California to play basketball at Santa Barbara's Westmont College where she was a four year starting center and All-American scholar athlete. After receiving her undergraduate degree, she accepted a clinical research position in Oslo, Norway where she investigated the influence of antibiotics on long term complications related to otitis media and presented her findings at an international conference in Paris, France in 2005. While in Europe, she was recruited to play Women's basketball and had the opportunity to play professionally while continuing her research. Dr. Kerrigan obtained her medical degree at the University of Minnesota Medical School where she remained active in research, community service, and athletics. In 2016, she completed her Adult Neurology Residency at Harbor UCLA Medical Center and thereafter joined the Tisch Fellowship Program where Dr. Kerrigan is able to combine her love for sports and medicine to help those with acute and chronic complications following concussion.